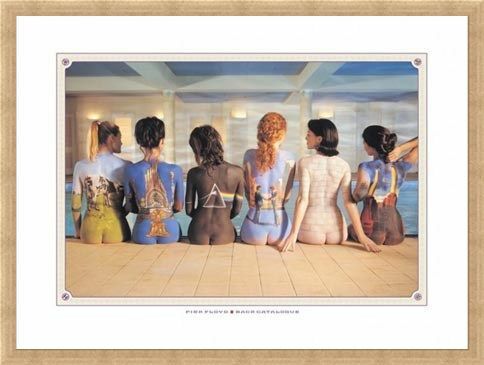 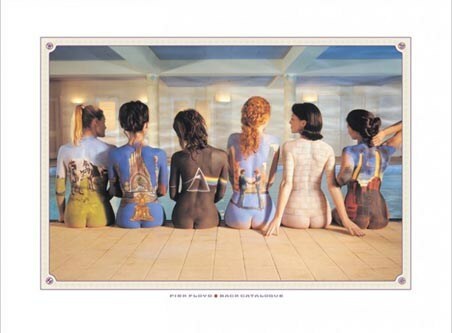 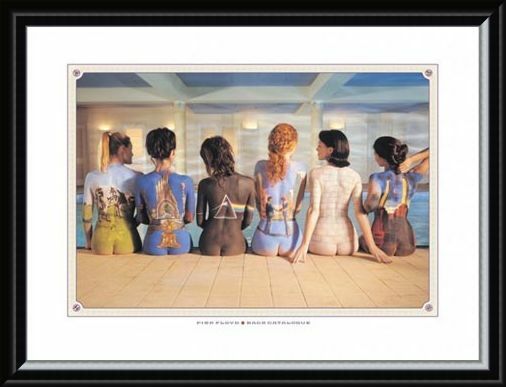 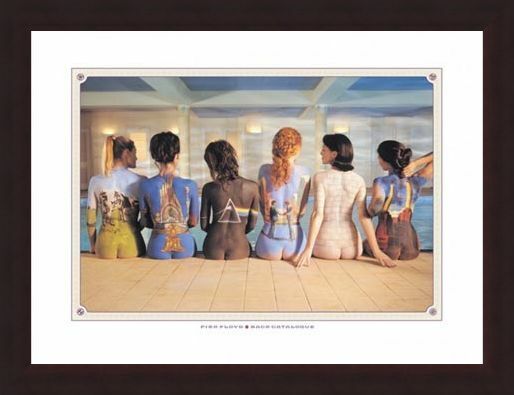 Music Print: Pink Floyd are one of the most influential and significant rock groups in musical history. 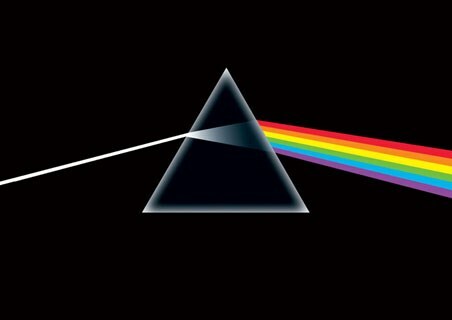 With their psychedelic undertones, overtones and everything in between, these guys were capable of instilling some radical emotions in their fans. Since 1965, the band have had 14 studio albums, 26 singles including 'Another Brick In The Wall Part II', 'Comfortably Numb' and 'Take It Back'. This excellent print is a must have for fans of this psychedelic rock band and it shows a cheeky collection of the discography which has been imposed onto the backs of six naked women. 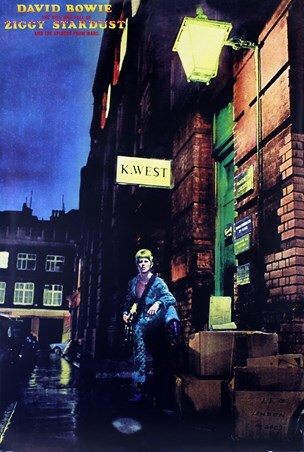 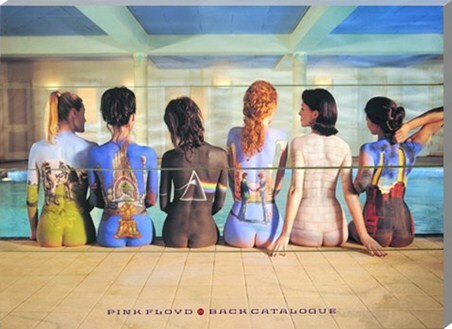 These album covers are; Atom Heart Mother, Relics, The Darkside of the Moon, Wish You Were Here, The Wall and Animals. High quality, framed Back Catalogue Campaign Poster, Pink Floyd print with a bespoke frame by our custom framing service.